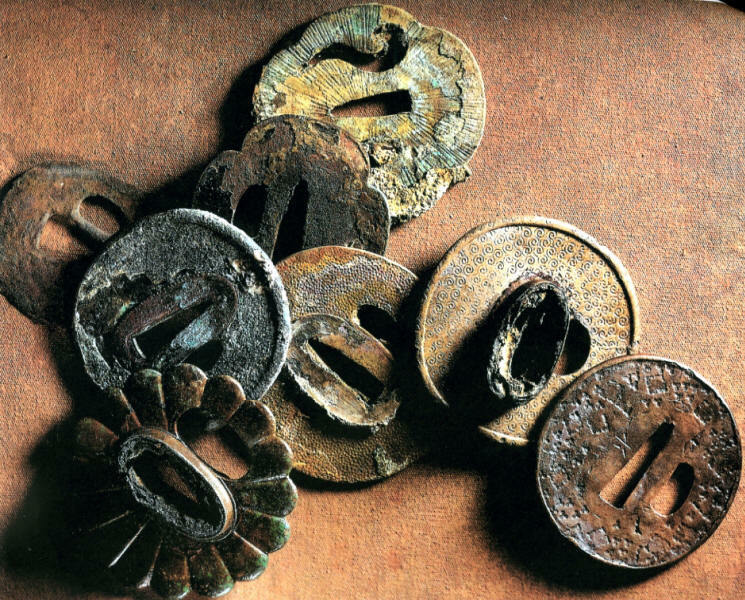 The 'San Diego' was a Portuguese ship that sank off the Philippines in 1601," which amongst its cargo were found numerous soft metal tsuba dating to the late Momoyama period. This is a very significant wreck as it illustrates the type tsuba, as well as likely a 'typical' export cargo in the late 1500's. Images of San Diego tsuba are pictured right. "Brass plate with bold katakiri and kebori carved Chinese style dragon in clouds on either side, both males. Hitsu shape slightly changed, with the original patina of a greenish nut brown. 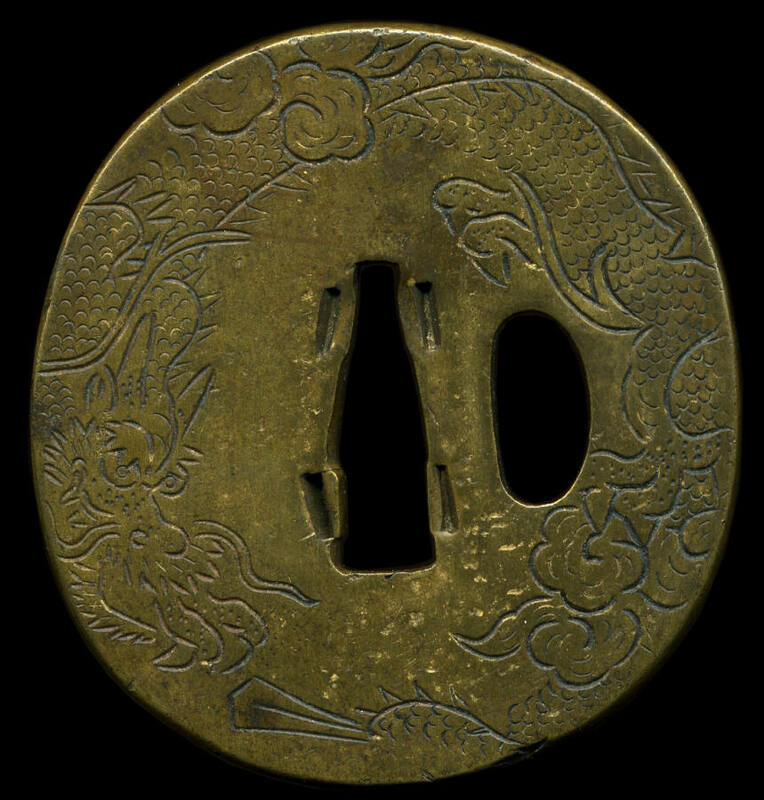 This is the style of tsuba made in the late Momoyama period, ca. 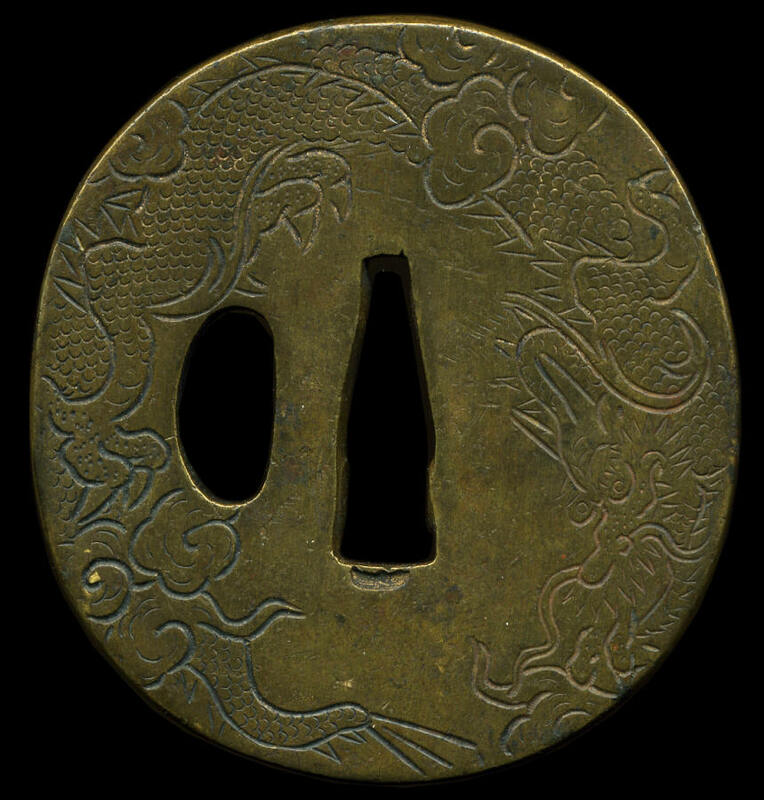 1575, and is often referred to as a 'San Diego' tsuba after those worn on the swords of the samurai aboard the 'San Diego' that sank off the Philippines in 1601.